Well, the Crew aren't going the wrong way. In fact, it was great seeing the team play with intensity and effort against Crystal Palace last night. It's also great to see the Crew work in some of their local players (and homegrowns) into the senior team. Guys like Wil Trapp and Josh Williams have carved out places in the starting lineup with their local team but you also see Darlington Nagbe, Michael Nanchoff, Eric Brunner and Justin Morrow make it as MLS regulars elsewhere. Ohio has proven the ability to manufacture talent. As the sport grows in the US (not just MLS) it will be those that can tap into it that will keep there noses in front. On top of a wise investment it's also a great story to tell the rest of the world. What isn't a good story (nor a wise investment) to tell the world is the summer friendlies MLS insists on playing and the older European big name players the league insists on over paying for. There are not enough excuses in the land of unicorns and rainbows MLS lives in for a 7-0 evisceration that Manchester United put on the LA Galaxy last night. The game ended sometime after midnight eastern time so many didn't know of the shocking result until morning. Not to be over looked last night was also the 4-1 Manchester City result over Sporting KC. This one was a bit closer but ultimately ended one sided. Both games were broadcast to a larger TV audience. ESPN carrying one and Fox Sports 1 the other. What this means is that many of the new soccer fans in the US gained post Brazil were tuning in to see MLS get steamrolled, thus cementing and confirming perceptions that the league is inferior to other leagues in abroad. Were points at stake? No. But it is ignorant to say they were meaningless. Not only was the regular US soccer crowd watching, but all the new post-World Cup news ones were as well. Inferiority might dog Major League Soccer but the number one perception the league has had almost since the beginning is that of being a "retirement league." One confirmed to the larger masses this morning, when 36 year old Chelsea legend Frank Lampard was announced as NYCFC's most recent signing. So when you add up the events of the twelve hours from when KC kicked off verses Manchester City to when MLSsoccer.com (the league's corporate site) promoting Lampard's signing this morning the sum is the same as it has always been. The English side of me barely gets excited for Frank Lampard's arrival in MLS. Were you to pin him down, I think Frank is more excited about hanging out in NY next year just as much as he is playing a couple more competitive years. Not sure what going to be left of him after a short stint in Australia (not confirmed yet) while he waits for 2015. Ultimately, at the end of today's announcement, I felt like MLS took a couple steps back and not forward (big steps, if you consider post World Cup attention). 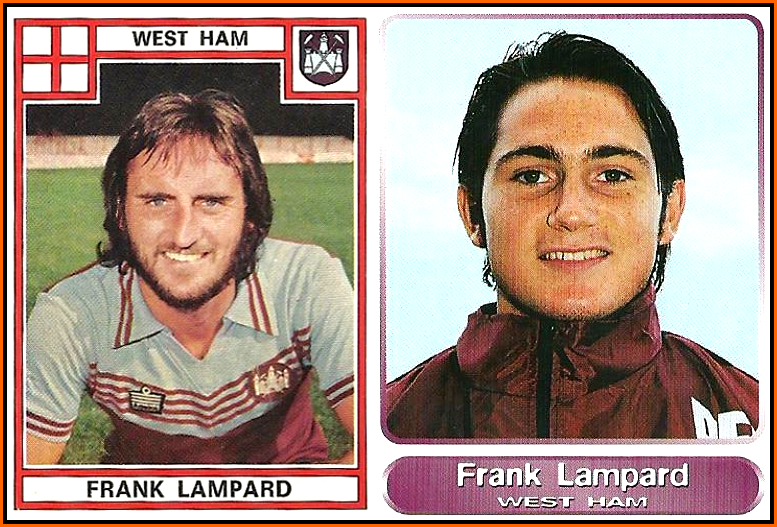 This isn't so much a knock on MLS or Lampard (or his father, since I used his pic up there). For folks that live in a MLS city, there is plenty to follow and like about the league but things like last night's results and today's signing only perpetuate stereotypes across the rest of the country (...and world).